Testament: The Bible in Animation brings the amazing versatility of animation to the irresistible imagery of stories which have excited and influenced people for centuries. 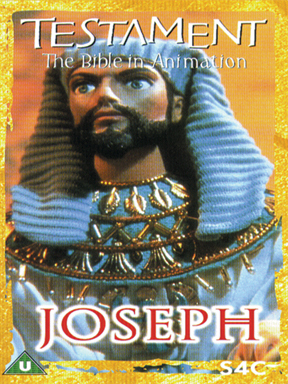 Nine of the Old Testament stories are retold using a rich variety of animation techniques Ü the latest innovations in computer and puppet technology and the imagination of the world's leading animators. A story of abandonment, exile and reconciliation. Joseph is sold into slavery by his brothers but skillfully rises to the pinnacle of Egyptian life and is eventually reunited with his family.